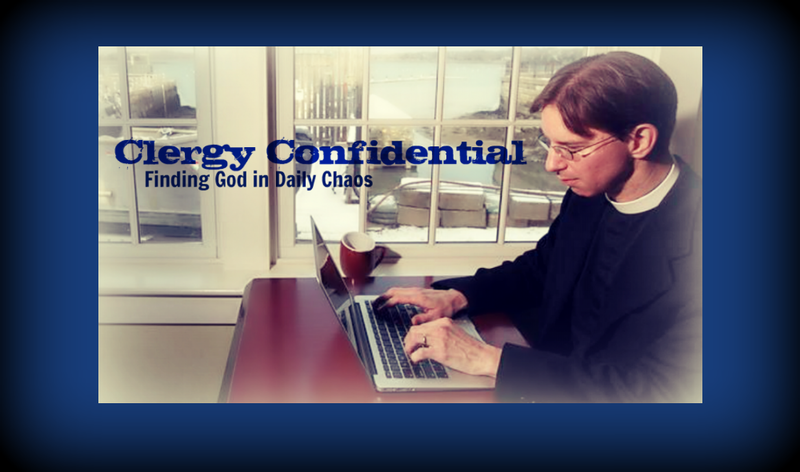 Clergy Confidential: "Can I get a witness?" In this Sunday's gospel passage -- an account of one of Jesus' final post-Resurrection appearances -- Jesus tells the disciples "You are witnesses to these things." He was talking about the literal events surrounding the crucifixion and resurrection but also about the cosmic interaction between God and humanity as seen through his own life. And he left them, and all of us, with the challenge to be witnesses of our faith, not just innocent bystanders. I think it's safe to say that most Episcopalians are witness-challenged. When it comes to using "witness" as a verb, we often fail to do our faith justice. Yes, we're basically members of the Witness Protection Program. We'd rather have plastic surgery, change our names, and move out of state than stand up and boldly share our faith. The thing about being a witness though -- whether in the legal system or as a testimony of faith -- is that you can't keep silent. It doesn't work that way. Because a witness is powerful only when he or she speaks truthfully and powerfully of that which was seen and heard. Yesterday, as the verdict of "guilty" was handed down in the Aaron Hernandez murder trial, we encountered a true witness. 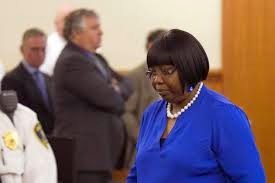 In the immediate aftermath of the jury decision, Ursala Ward, the mother of Odin Lloyd, was given the opportunity to speak. She spoke openly, honestly, and faithfully. And we could all learn from her example of what it means to witness to our faith. She didn't try to hide her pain, tearfully expressing that "The day I laid my son Odin to rest, I felt my heart stop beating for a moment. I felt like I wanted to go into that hole with my son, Odin." "I forgive the hands of the people who had a hand in my son's murder...and I pray and hope that someday everyone out there will forgive them also." That is how you witness to your faith, friends. PS. After I wrote this, I learned that Ursala is actually...an Episcopalian, a member of Church of the Holy Spirit in Mattapan, Massachusetts. See, we CAN do this.